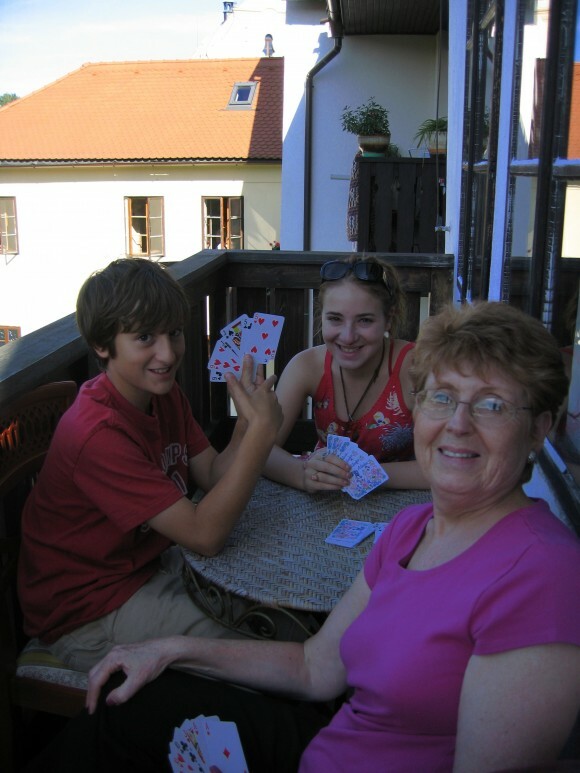 Interested in traveling with your kids and their grandparents abroad?? We have traveled with our kids, and their grandparents (my mom and dad) three times in the past seven years, and are planning our fourth trip for this March. We are very lucky as we all get along quite well, and my parents are very easy going people. 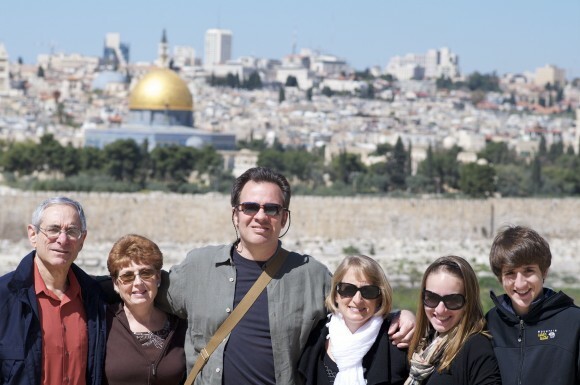 My mom is not as adventurous as we are, so I do not include them to locations such as Morocco or Vietnam, but locales in Europe are always a good bet, though they did join us for an amazing trip to Israel and Petra. Here are my Top Ten tips to help you get started and to have a trip the whole family will enjoy. Do you get along well together at holidays and other times? Have you ever spent a vacation together? Obviously if you and your mother-in-law do not see eye to eye, or your hubby and your dad have never quite hit it off, then maybe spending two weeks together abroad is not a good idea. We all get along quite well, and had spent a week’s vacation together a few times in a house up in the mountains. I suggest you do a trial vacation – a long weekend at a beach house or a week in a mountain house and see how it goes. 2. Are your parents/in-laws in good health? Be sure your parents are in good health (and you too!) Be aware of any mobility issues before you start planning. These do not preclude you from going but may require some changes in your itinerary. Perhaps shorter walking tours are in order or budgeting for more taxis. When we were in Salzburg we did a Sound of Music bicycle tour, but my mom did not want to do the bike tour, so I booked them a Sound of Music van tour. Be sure everyone has enough of all medications to last the entire trip. Most pharmacies will fill a prescription in advance once or twice a year for vacation reasons. Just check with them a few weeks before you leave. 3. 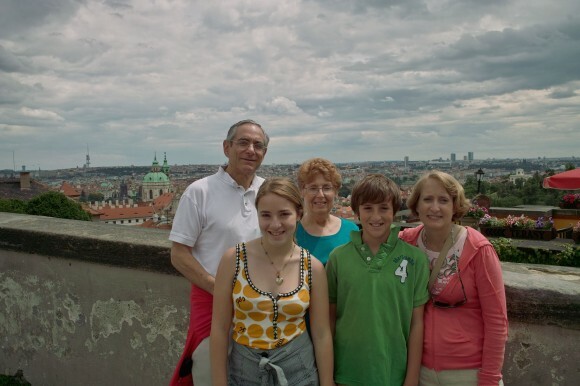 Do you and the grandparents have similar travel styles? If you like to travel on a budget and your parents only like to travel to 5* hotels then maybe traveling together is not the right idea, or you need to discuss together what kind of accommodations you will be looking for. Compromise is always possible. Just discuss beforehand and come to an agreement before you start planning. Apartments are a good way to have a nice place with a lot of room where you all can stay, but also save money. 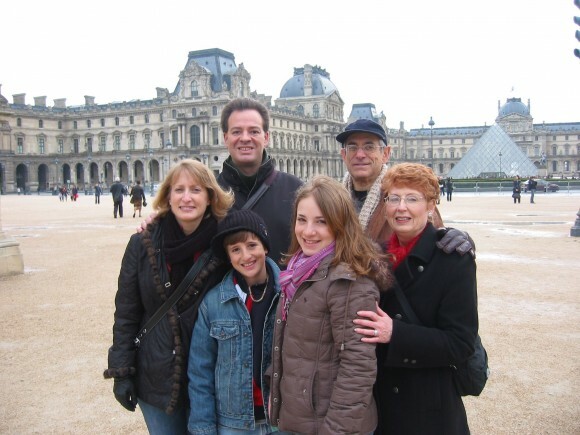 We have stayed in apartments with my parents in Paris and London and will be doing it again in Rome this March. Just pay close attention to the number of beds and bathrooms. If people need to be sharing bathrooms just be sure everyone is in agreement. With six of us in one apartment I like to have at least two bathrooms with a shower. 4. Decide who will do most of the planning and organizing and how much the other party wants to be involved. Generally, if my parents are not traveling with us, they are on a cruise ship or a bus tour somewhere, so they are very used to having someone else do most of the planning. Since I find organizing the trip half the fun this works out great for both of us!! In each location, I usually provide them with 2-3 options for accommodations, or at least show them the one place I have chosen and have them give the green light before booking it. I usually make up the itinerary and show it to them so they can add any things in particular that they want to see, though I must admit, for the most part they are very flexible. 5. If there are any “kidsitting” expectations discuss them as you are planning the trip. On a two-week trip, ask your parents to watch the kids one night each week so you can have a quiet dinner with your hubby. Or maybe once each week ask them to take the kids to a park while you spend an extra hour at a museum. Our kids were 10 and 13 the first time we went abroad with my parents, so have not actually used any “kidsitting”. Our kids have always been good eaters and we enjoyed all going out together. However, if your kids are younger or you just really feel as though you will need a break – no problem – just discuss it before hand, so everyone knows what to expect. Build it directly into your itinerary so everyone knows what evening they will be “on duty”. 6 Do not expect to have to spend every moment together. It is okay for each family to go off on their own every now and then. For the most part we see all the sites together, and book any tour guides together, but there are days when we split up. On our trip to Paris and London we spent a week in each city. One day in each city we both went off on our own, my parents going to see some things they wanted to see and some shopping they wanted to do and we did the same with our own list of sites and shopping stops. In addition, while we ended up eating most of our meals together, sometimes my parents were too tired in the evening and would get some meat and cheese and eat in the hotel or apartment while the four of us would go out to dinner. Or other times my parents chose to go to a different restaurant than us. These moments can be expected and there should be no hard feelings. As with ALL things related to money, finances should be discussed beforehand. If renting an apartment or booking a private tour do you split it 50/50 or do you pay 2/3 and grandparents pay 1/3 (e.g. we are four people and they are only two). We generally split it 2/3 and 1/3, as that seems most fair to me, but I have heard of people doing it 50/50. Again, just agree before you start booking anything so there are no surprises or hurt feelings. Also, note that traveling with six or seven people, you can often book a private tour in a city and actually have a cheaper per person cost then if it was just two or four of you on a group tour. 8. Have someone who is willing to keep track of meal expenses, etc. My mom is great about this. We usually pay for all the meals on the trip as our credit card has no foreign transaction fees (I also like to earn the miles!!) and it is simpler than giving them two credit cards. My mom always carries a little notebook where she writes down the name of the restaurant and what their portion of the meal cost. When we return from the trip I see what exchange rate was charged at each restaurant and add up what my parents owe me. They write me one big check for everything. This eliminates exchanging money at each meal or after each tour. 9. Book all the airfare together so you are on the same ticket. This way if flights change or are delayed, they will put you all on the same flight. We cannot always do this, as often we use Frequent Flier miles and my parents do not. It did cause problems one time when our flight got cancelled and we were put on another flight but they were not. They ended up having to rent a car and drive six hours to San Francisco to catch our connecting flight. If we had all been on the same ticket, this would not have happened. You have done all the planning, all the organizing, managed expectations and thought through every detail – now sit back and ENJOY the adventure!! 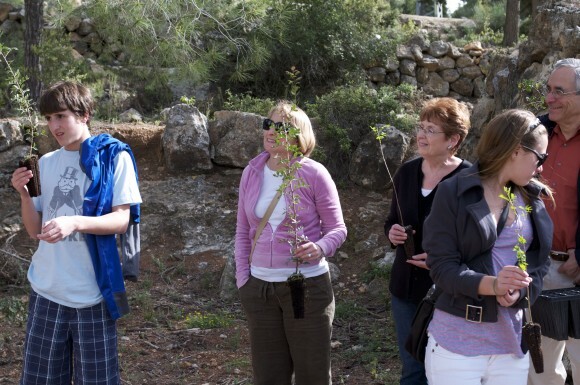 It is a great blessing to be able to have these multi-generational trips. Where grandkids and grandparents get to enjoy each other’s time, company, experience new places, food, and people. These are memories that you will hold dear forever. Judy, What fun to read your blog. Your suggestions for traveling with Grandparents were excellent. I know your folks always enjoy the travels. How fortunate that you have been able to explore the world. Thanks Shirley! We have been fortunate to have them join us! Good tips, Judy. Being that I have traveled with your parents and will again this summer, we’ll put some of your tips to use. I agree that your parents are very easy to travel with. Yes, we are both very lucky to have such easy going grandparents! 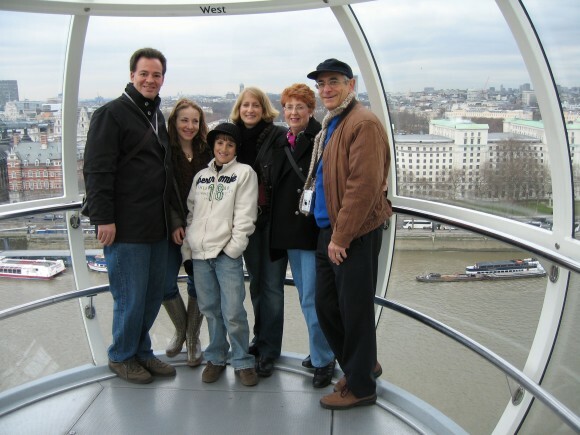 Fabulous tips for traveling with any extended family members! I’d love to borrow the grandparents you’re describing and travel some time. I think you’ve been spoiled – and that’s evident from your wonderful writing! Thanks Dave! So glad to hear from you! What is important is similar interests as well. I have a relative young family with 20 years separating each generation so all of us kids are now over 21 and grandpa loves to gamble so we’ve made many trips to Las Vegas together where we can all indulge our interests and even part ways after dinner when we want to go to shows – grandma wants to go to Celine Dion and we want to go to Cirque du Soleil for example. This year, however, is Hawaii. I am looking forward to what kind of blog posts that trip will generate next December. Hawaii is fabulous! I hope you all have a fabulous time there! Glad you found it helpful. Happy Travels!! We have done this many times when the kids were younger and always had a fabulous time, all of us. Great tips & post. Thanks! It’s great to travel with multi generations!